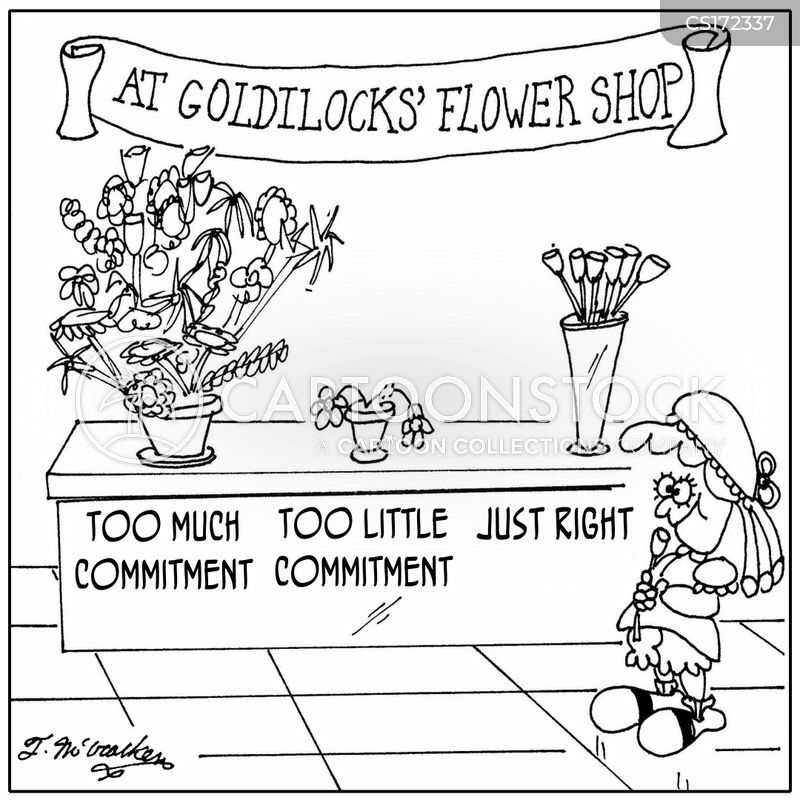 The Goldilocks Flower Emporium has bouquets labeled Too Much Commitment, Too Little Commitment, and Just Right. 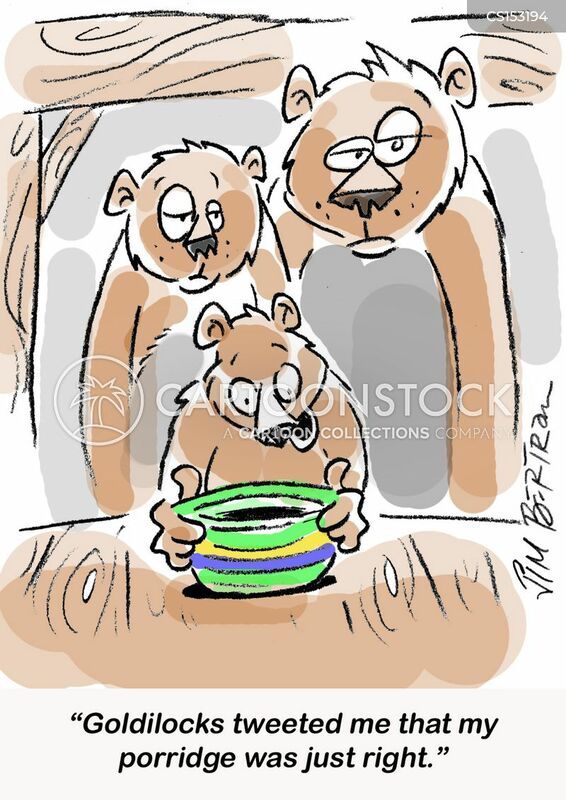 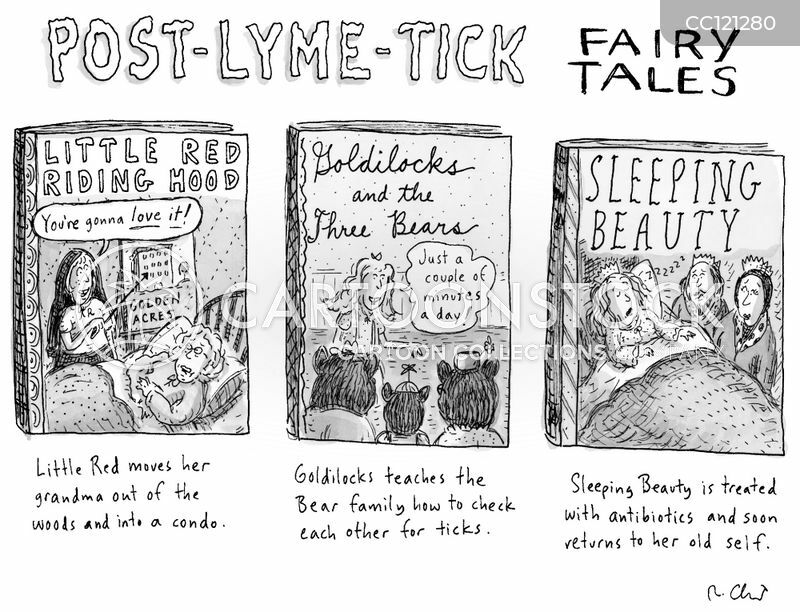 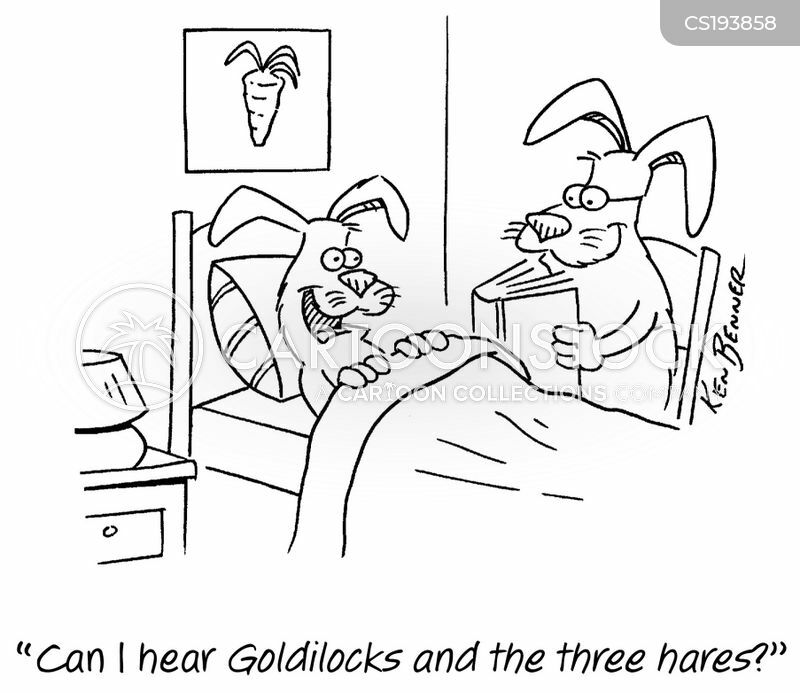 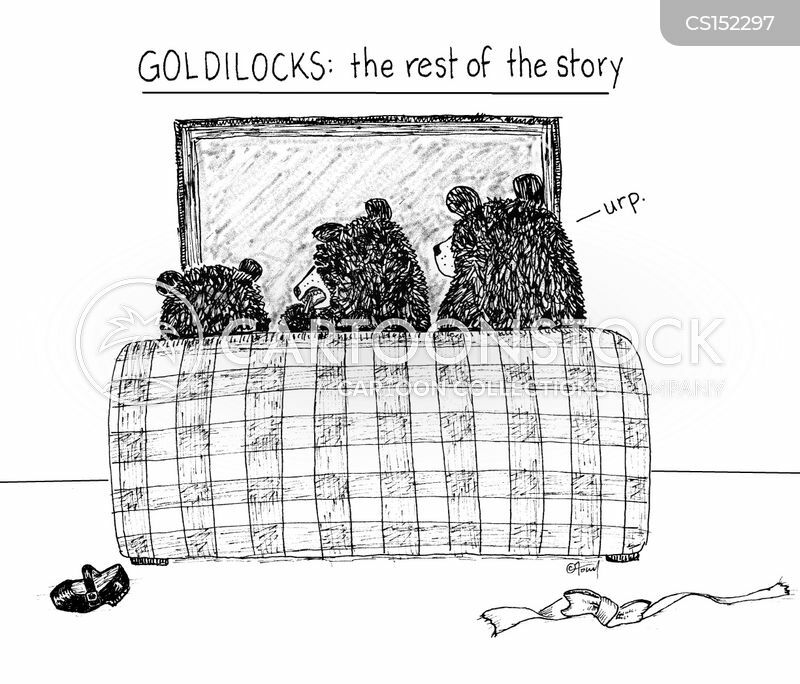 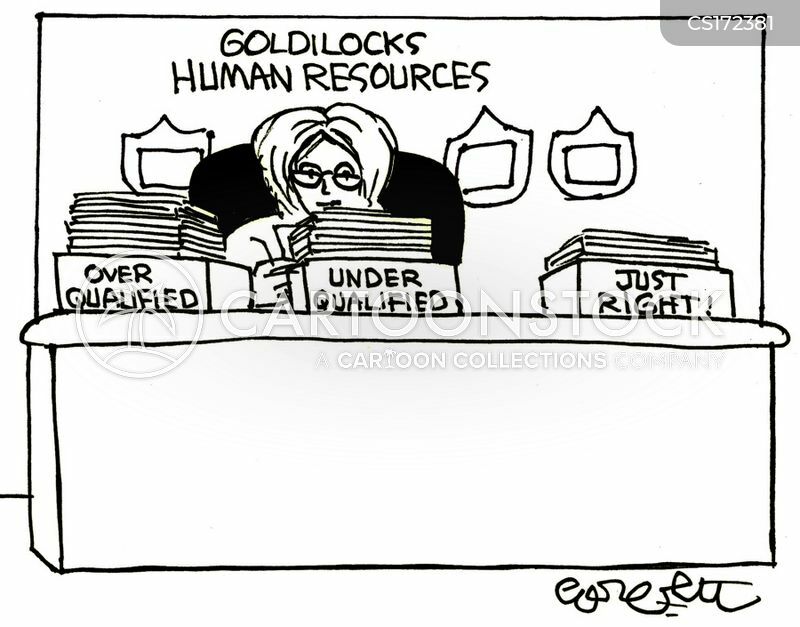 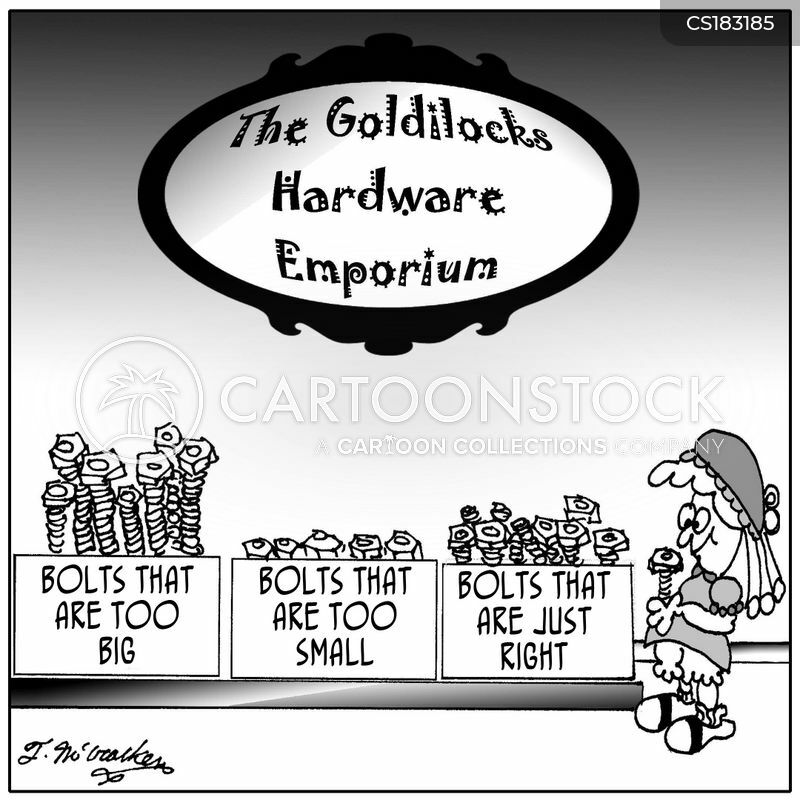 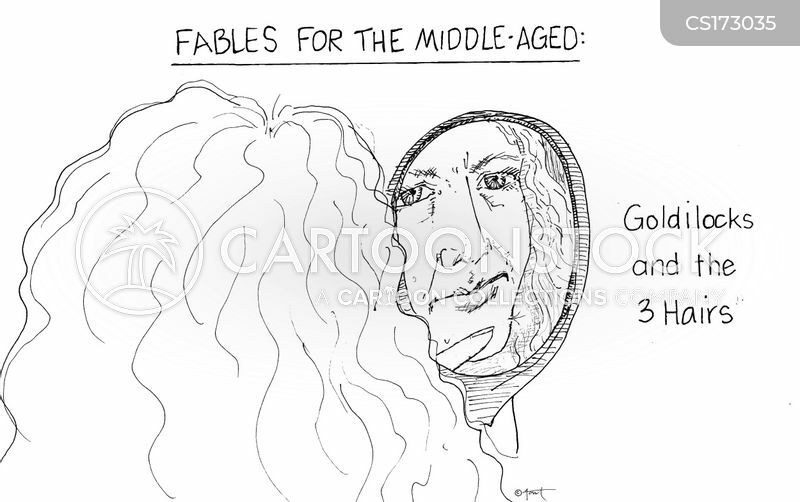 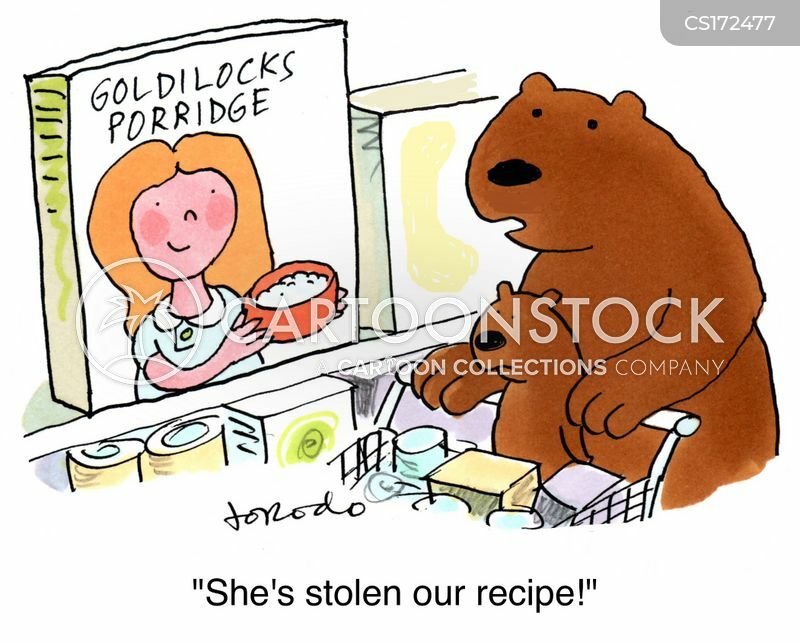 Fables for the Middle-Aged: Goldilocks and the 3 Hairs. 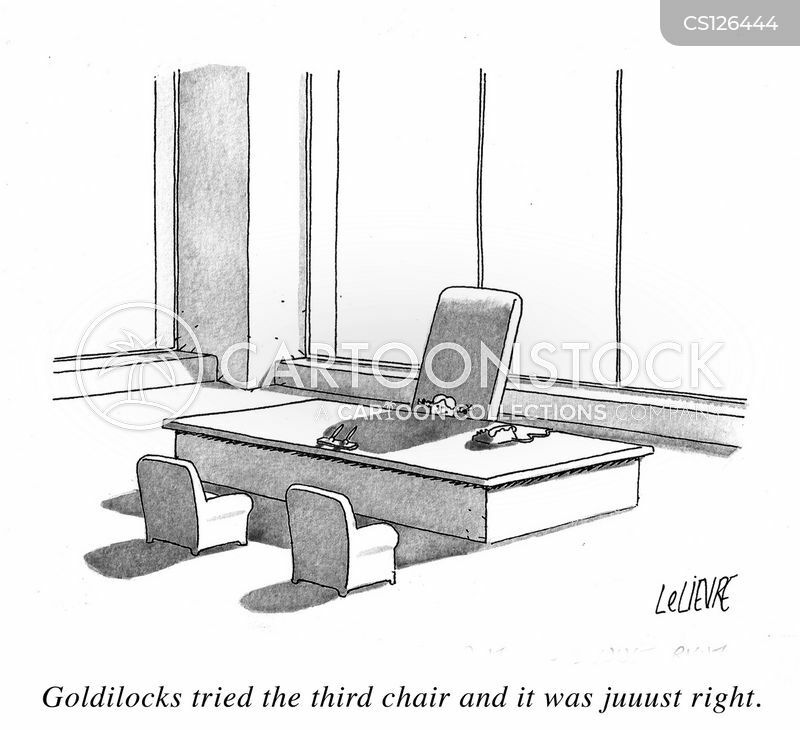 Goldilock tried the third chair and it was juuust right. 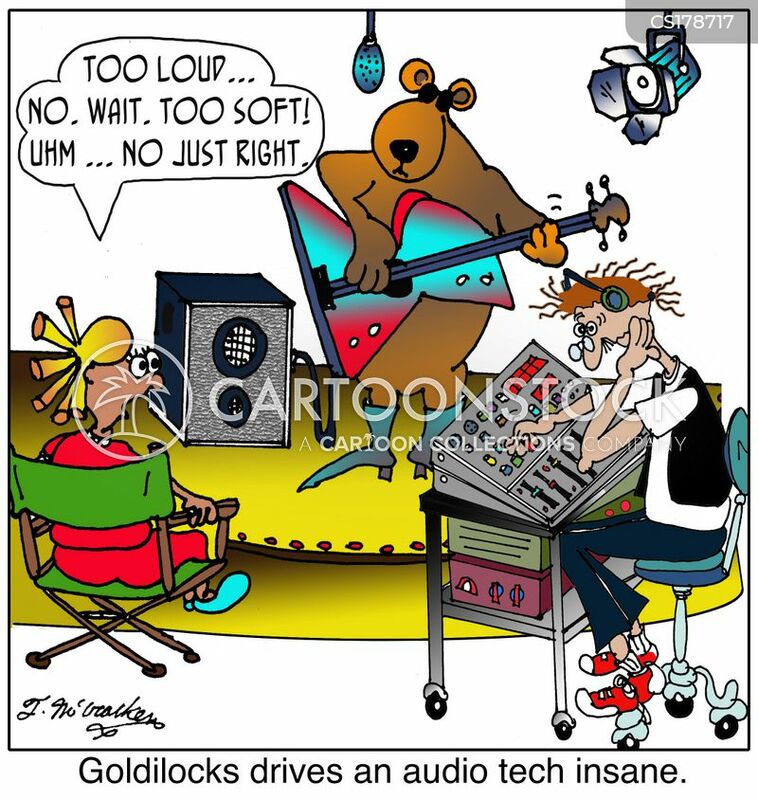 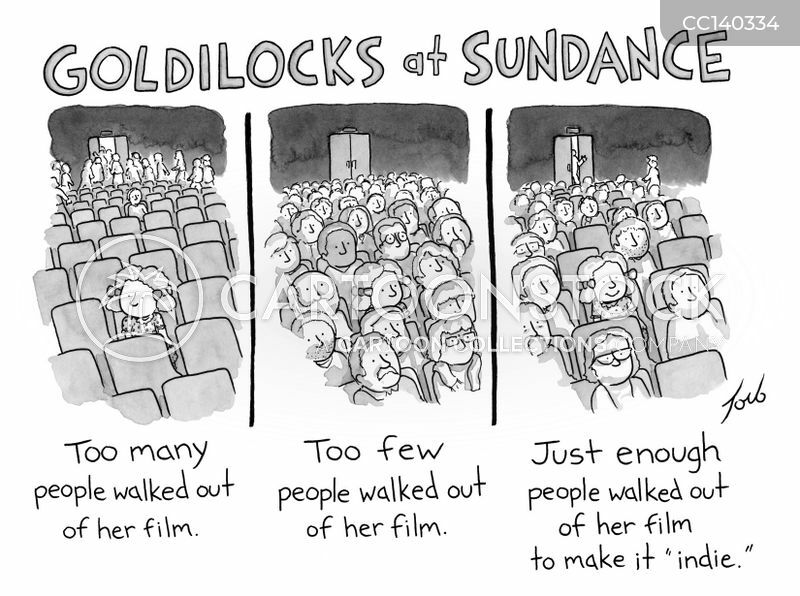 Goldilocks drives an audio tech insane. 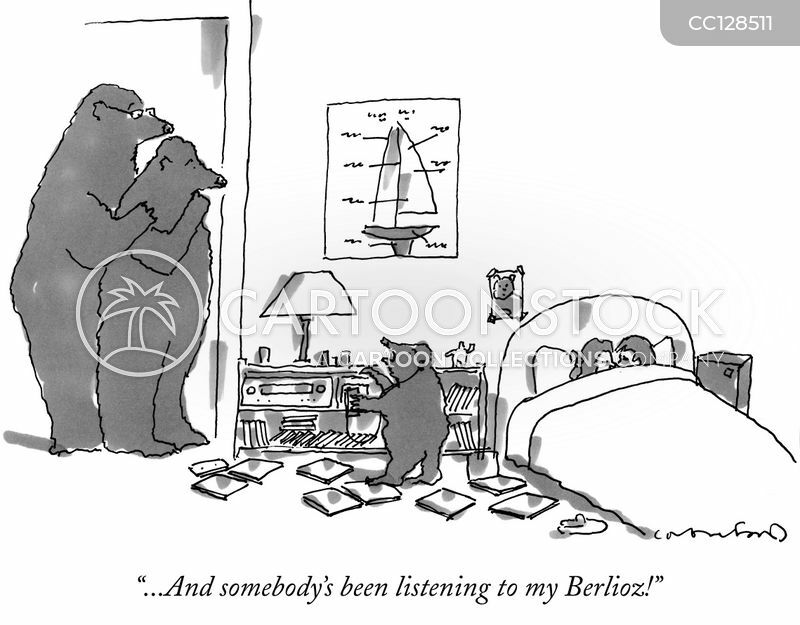 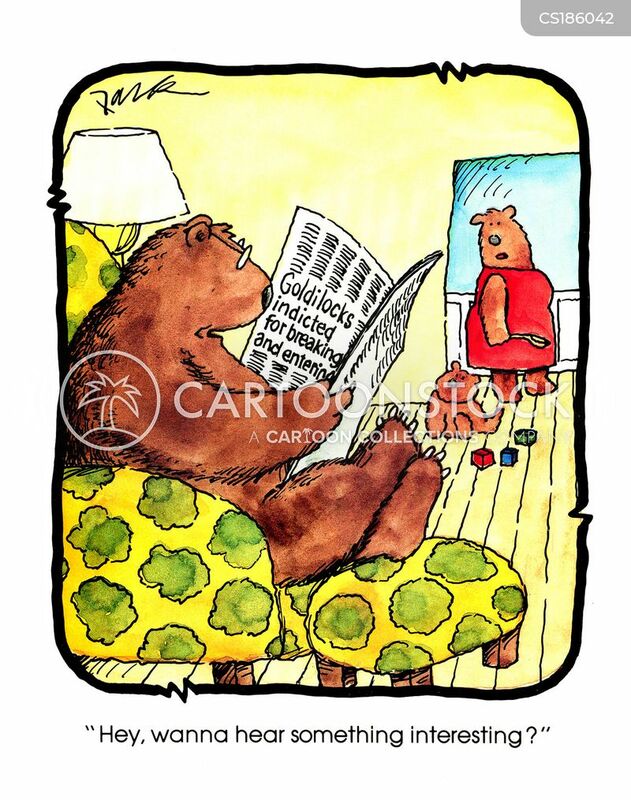 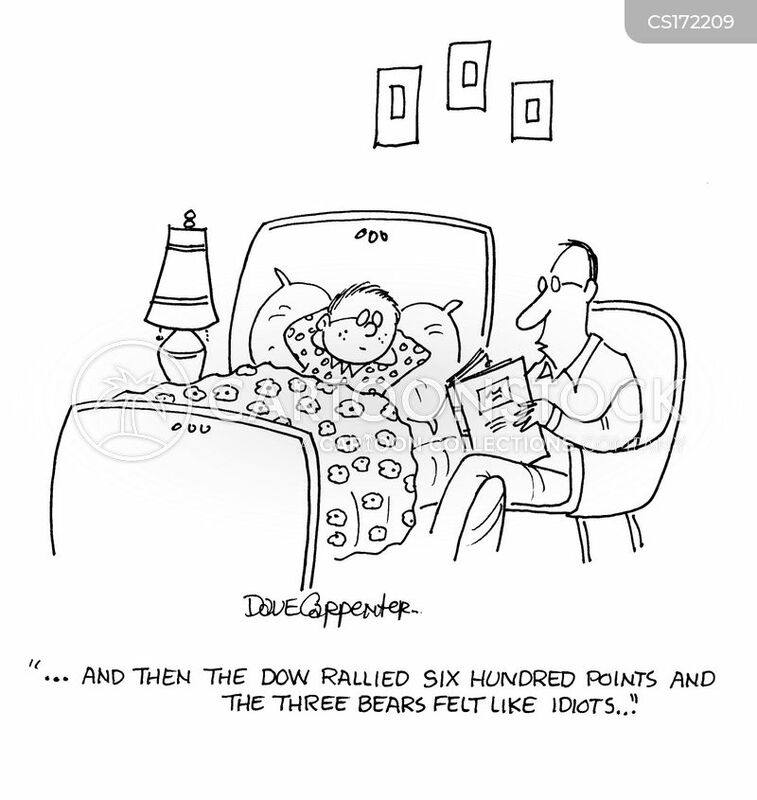 Papa bear plays the stockmarket. 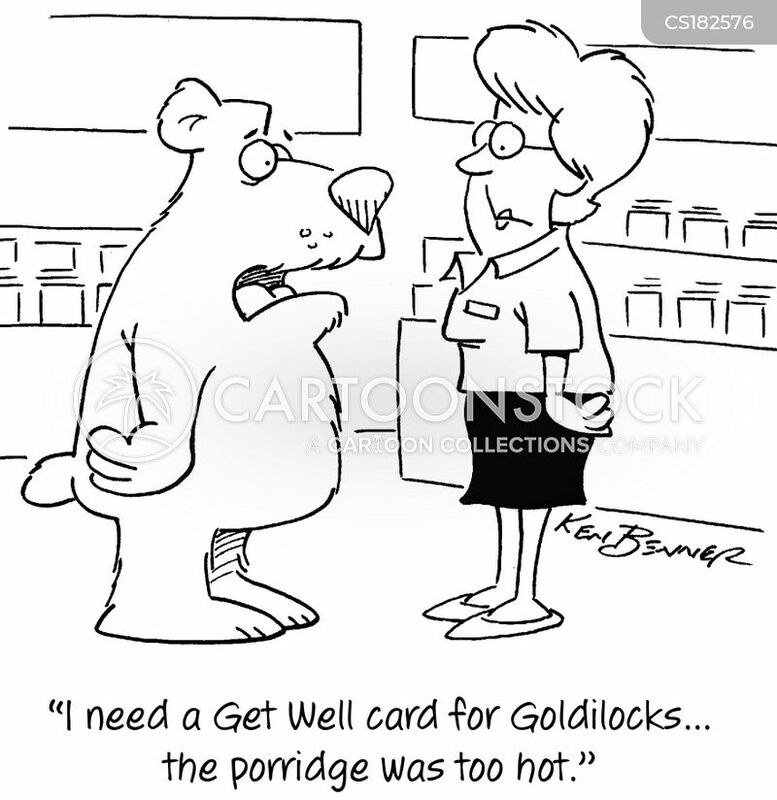 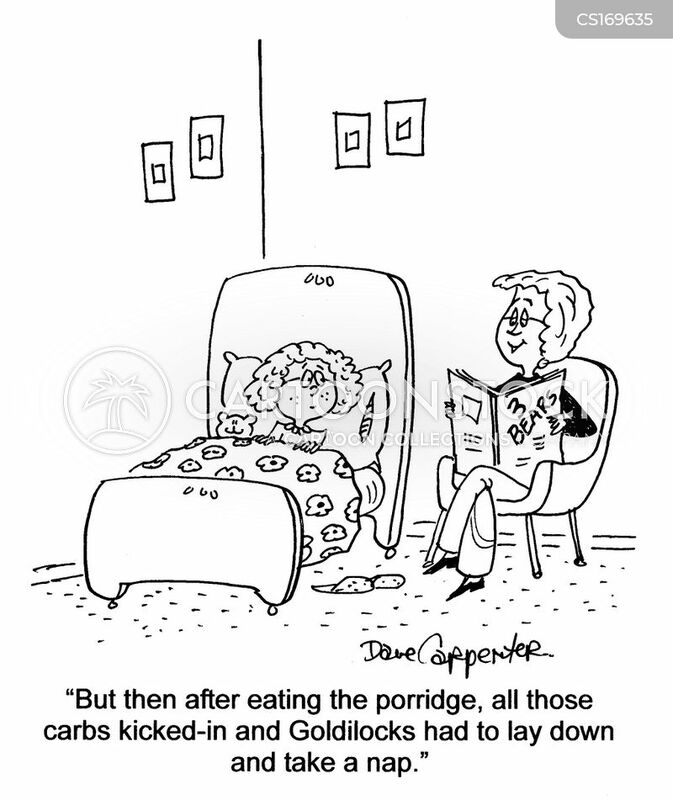 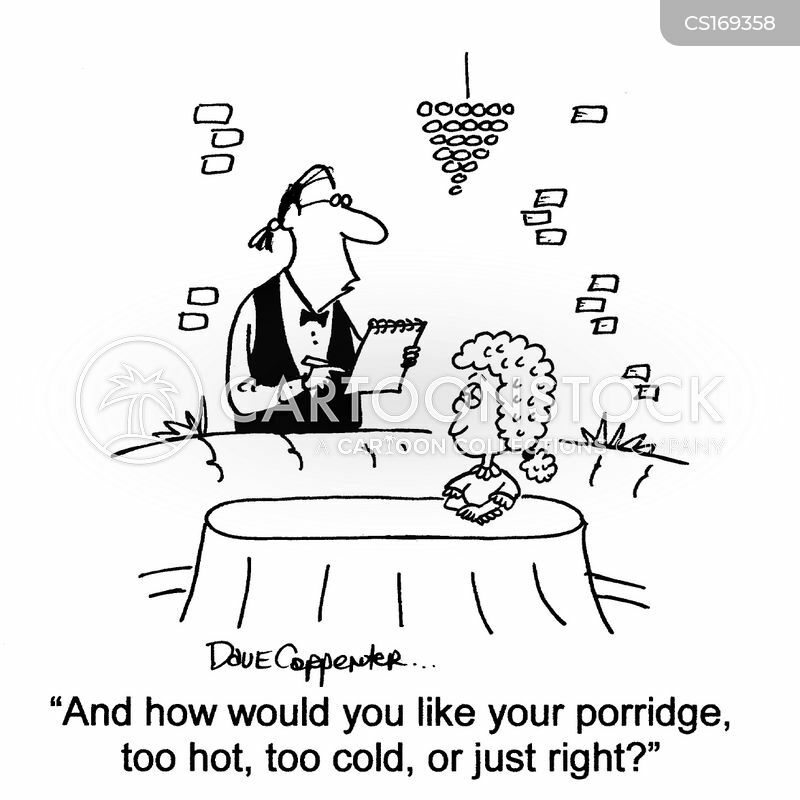 "I need a Get Well card for Goldilocks...the porridge was too hot." 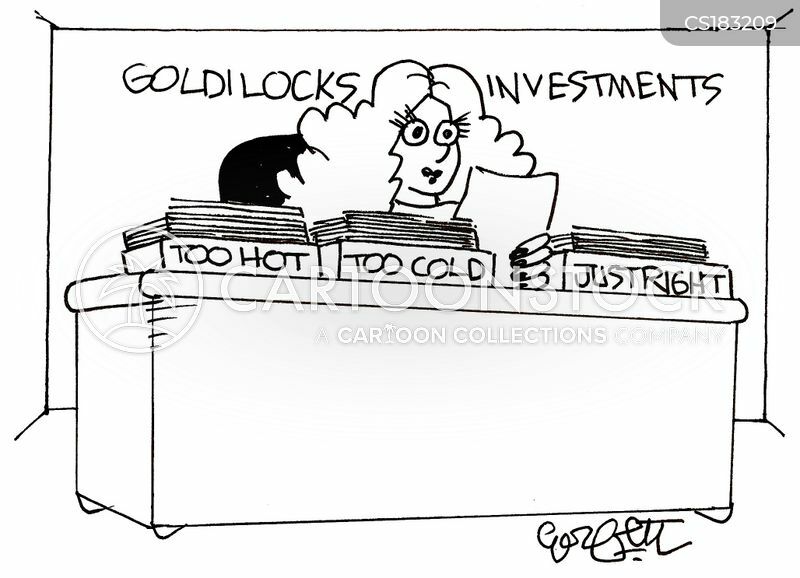 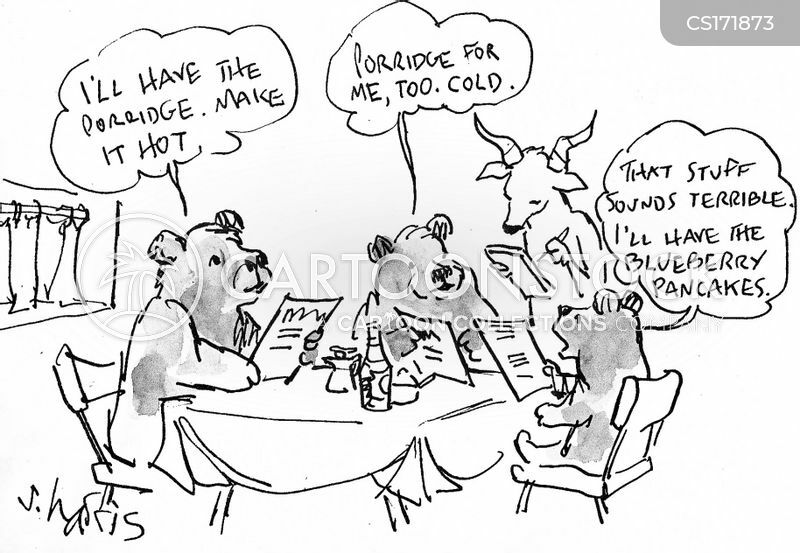 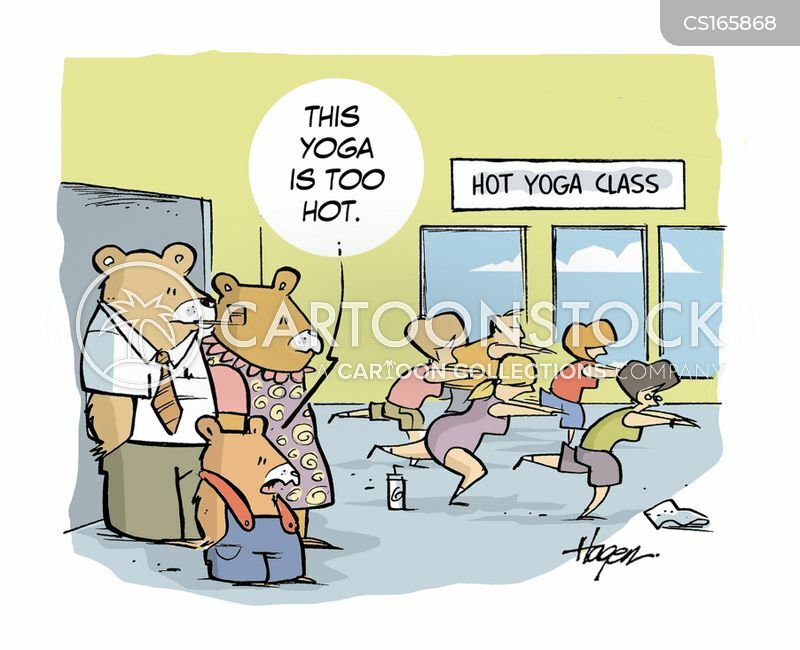 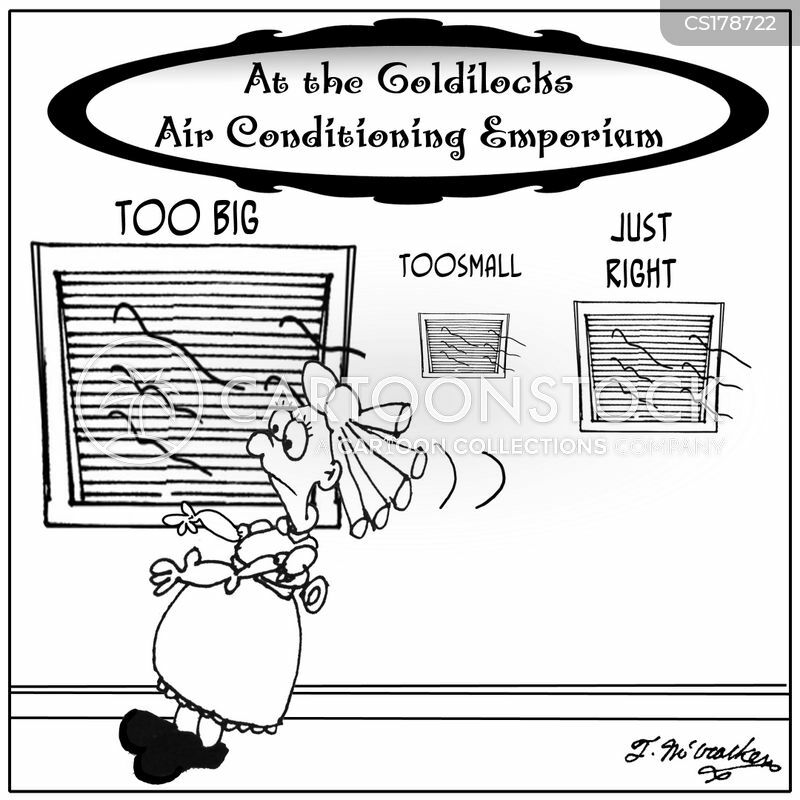 Goldilocks Investments: Too hot...too cold...just right. 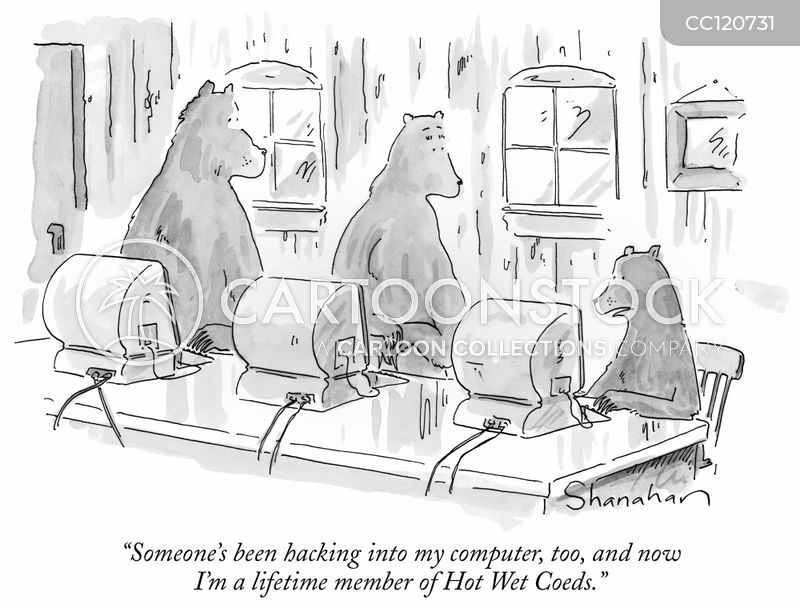 "Someone's been hacking into my computer, too, and now I'm a lifetime member of Hot Wet Coeds." 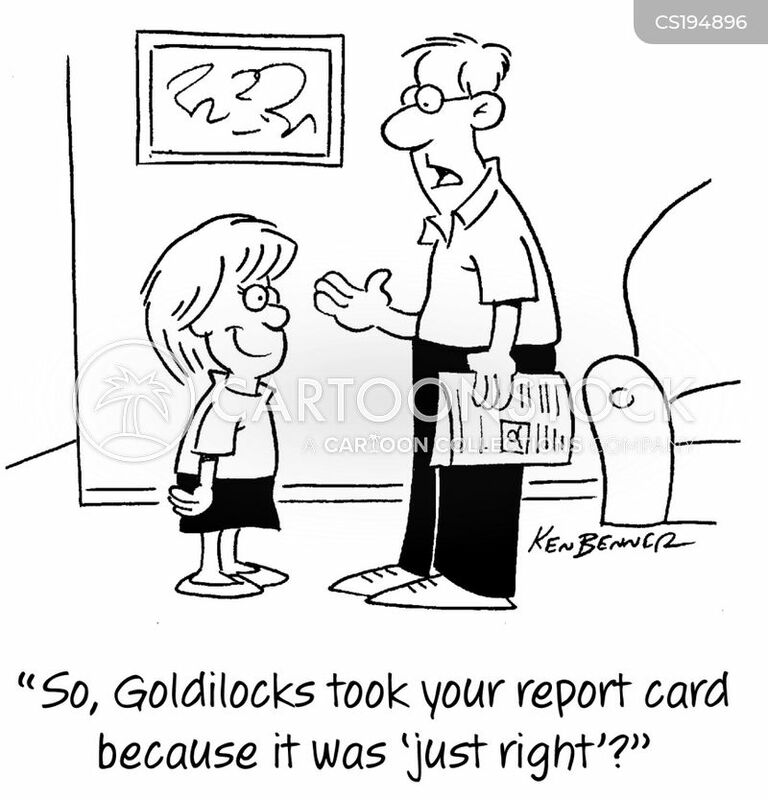 "So, Goldilocks took your report card because it was 'just right'?"